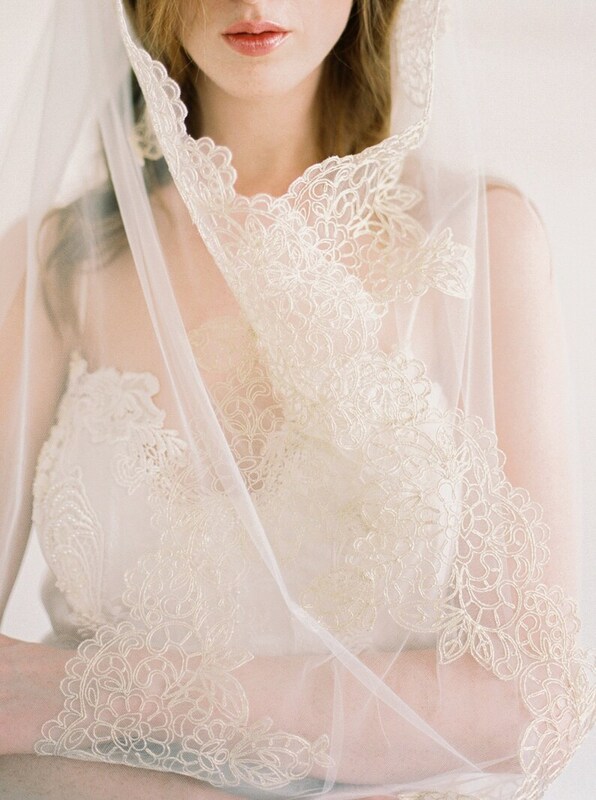 Our Kate veil is edged with a delicate corded gold colored lace. 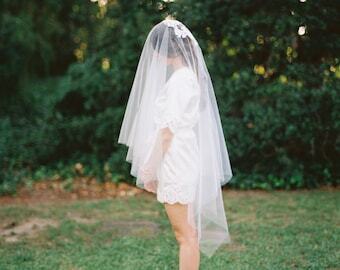 This veil comes in different lengths. We are always happy to custom make a veil length. Please convo me for more information. This veil is amazing! I was going to go with a cheapie veil but I saw this veil and fell in love. I'm so glad I got this, worth every penny!